2015 Fiber Stats are now in! Virtually no change since last year. A beautiful 44 month old LSG fleece at 20 microns! We were really blown away when we first saw this young male. His fleece is what anyone breeding for fine fleece is looking for. 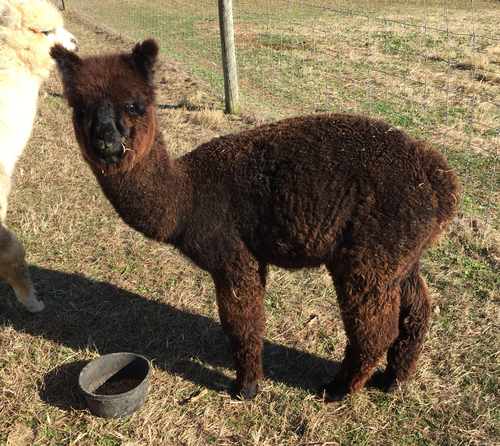 He has a perfectly spotless fleece that actually looks Rose Gray in some light and Silver Gray in others. 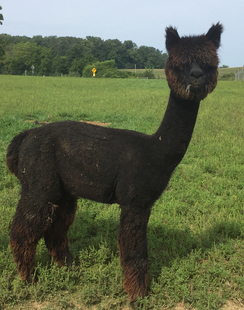 Onyx was a great find and match to our wonderful herdsire Carderock. 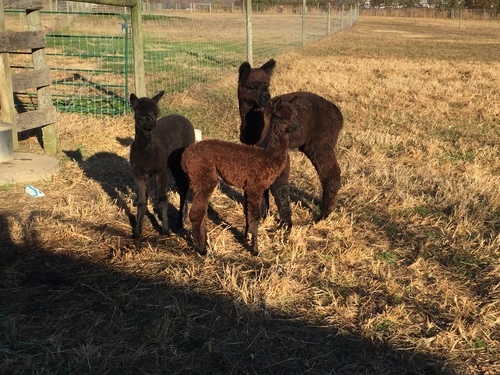 Onyx has produced 2 carbon copy MSG cria when bred to gray, so we expect no less whith all the Black and Silver in her background. 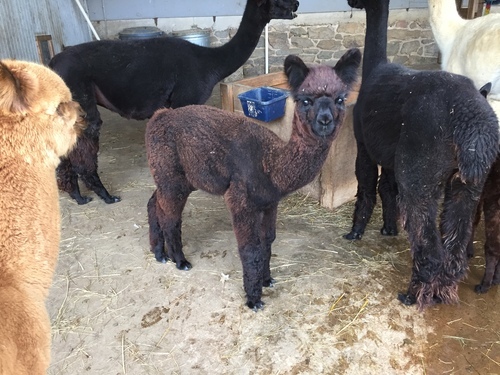 From the growth of her last cria who at 1 year had topped out over 110#, we expect she will be a fantastic mother and asset to our breeding program. Wow - Do I ever love the look of this boy. He has amazing bone and a great conformation. His fleece is coming in dense and crimpy. I was just sad that he wasn't old enough to show at the fall shows. He is bigger than crias born a month or more before him so I expect he should grow to a nice size. 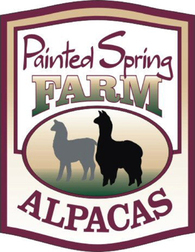 His second shearing produced a mass of inky black fiber that has an exceptional hand and incredible fineness. He should be in someone's breeding program! Really strong black and gray genetics on both sides! Give this boy a try - he's now old enough to be breeding and we'll get him started this spring.